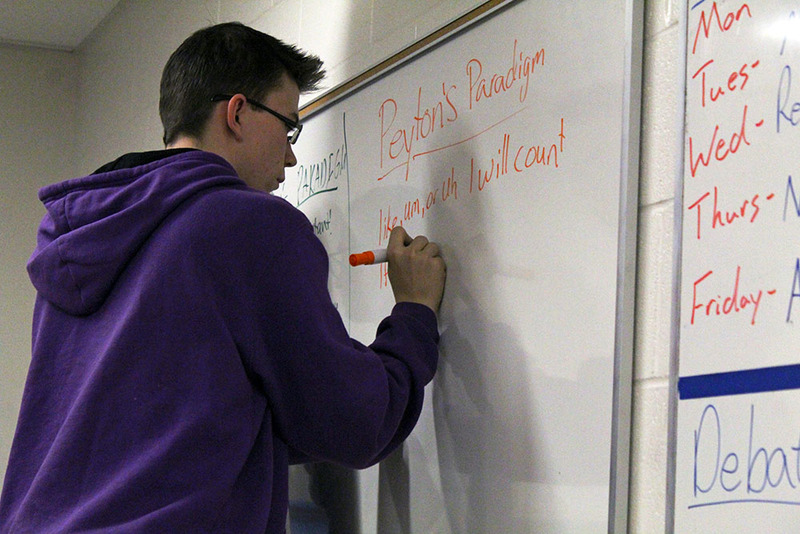 Junior Peyton Woods prepares his paradigm for a mock-competition after school. 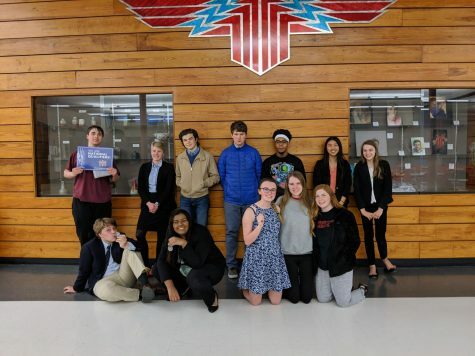 Manhattan High forensics welcomed the new competition season with team success at the Shawnee Heights competition this past weekend, scooping up three state qualifications for the State Forensics Tournament in May, as well as a handful of high tournament placements for individuals. The team, who expressed feelings of doubt before award ceremonies, were surprised to have done so overwhelmingly well. 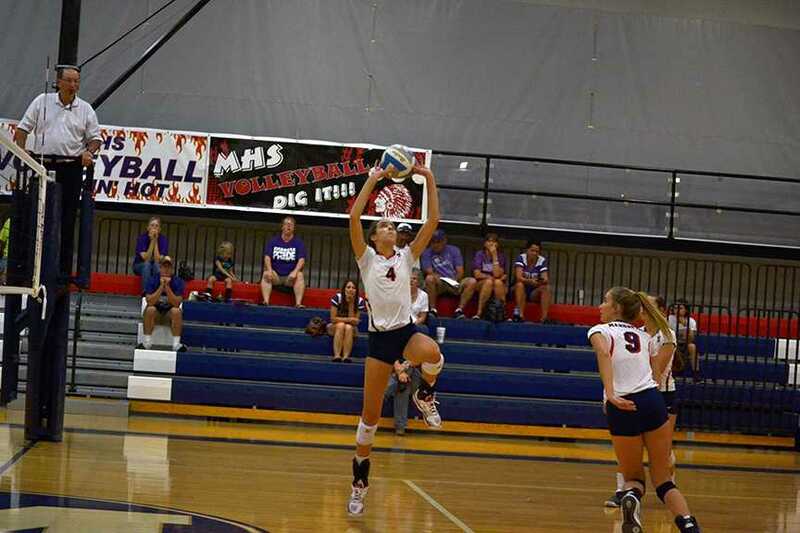 “[Three] state qualifications already out of the way for the season just in the very first tournament… that’s obviously a really great way to start off the season,” Sam Delong, freshman, said. Delong — who did not expect to make it to the top three — had a high-placing record in debate and has continued his record into the forensics season, taking first place in the Novice Congress session and third in International Extemporaneous Speaking. His first-place success was joined by that of juniors Aaron Hoff, who went undefeated in Lincoln Douglas Debate against what he called “the greatest Lincoln Douglas debaters in the state” and qualified to the State Forensics Tournament. Junior Trinity Brockman — who took fifth seed out of 32 in debate finals Jan. 12 — placed first in Varsity Congress session. Sophomore Eadon Marstall, after expressing fears in her competition ability, took first place in Impromptu Speaking, also qualifying for the state tournament in May. 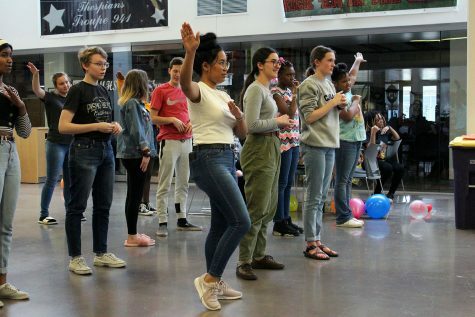 Other successes came from senior Jered Zhang, who took third in Lincoln Douglas Debate; junior Ivy Auletti, taking third place in poetry, joined by Peyton Woods, who took fifth in Prose. The pair of Auletti and Woods also took second in Duo acting, qualifying them for state in May. According to Phrommany, the students have been working for months ahead of Shawnee Heights to be prepared for the competition. Phrommany also commented on the heightening success of the students, especially as they gain confidence in the realm of competition. 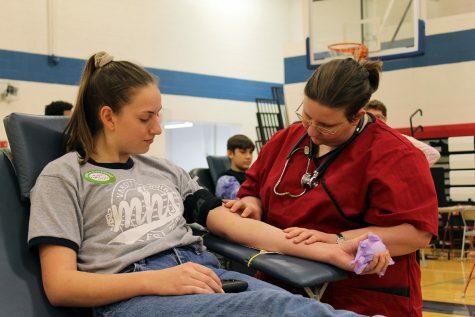 Forensics will continue the competition path at Emporia State on Saturday.